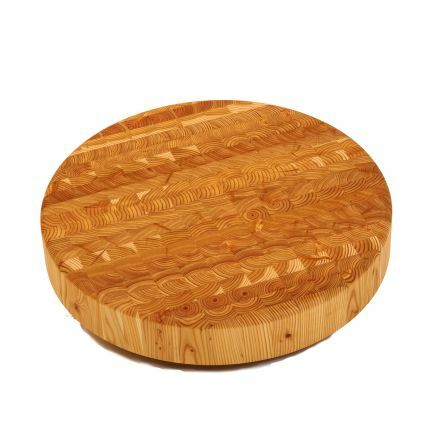 Using only domestic Larch Wood from Canada, this larch wood chefs round block is ready to be used in your kitchen. Its the perfect board to cut and display appetizers, and yes they will not show knife marks. All of these boards have been finished with a natural bee’s wax oil. Size of the Chef’s Round Block is 16.25″ x 2.5″. Please order yours today or visit the store to see the entire selection.